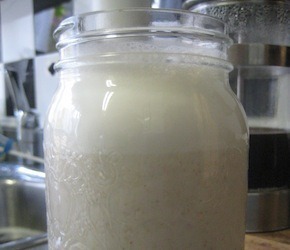 Almond milk can be made raw by simply soaking almonds overnight in a little water which increases their digestibility. 3. If you would like it even smoother you can pour the milk through some cheesecloth into a container and squeeze out any remaining liquid.